Microwaves are such a luxury appliance that is often taken for granted until they break. If your Kenmore microwave won't turn on, there's a variety of reasons why this may be happening. The beauty of having a Kenmore microwave, though, is that most of the issues are pretty repetitive and boil down to the internal components. Kenmore Elite microwave problems are easy to fix generally if you know what's wrong with your microwave. Before you investigate why your Kenmore microwave isn't working, you should make sure that the plug is plugged in correctly and that the outlet is working. If the plug and outlet are operating efficiently, then that most likely means that the fuse has blown. If you are using your microwave a ton and there's a bunch of currents passing through the microwave, the line fuse can blow because of all of these currents. If the line fuse is blown, that's why your microwave isn't working. It is recommended that you have a licensed technician check and replace your blown fuse. In a Kenmore microwave, there are thousands of volts of electricity running through it, even when the microwave is off. 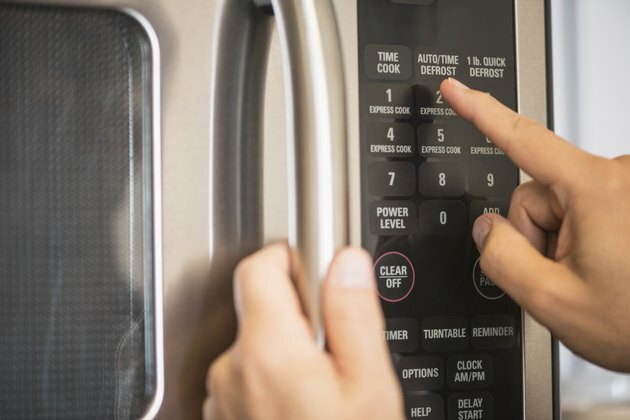 There's potential for an electric shock if you don't know what you're doing when it comes to replacing electronic components in the microwave. The technician will know where the Kenmore Elite microwave fuse location is when fixing the appliance. That's why it is best just to have a licensed electrician do the job for you. Sometimes the main control board of the Kenmore microwave can be defective, but this is a highly unlikely reason if your microwave isn't working. Most Kenmore microwaves are tested before they leave the factory, so there shouldn't be any defective parts. If everything is working in your microwave, though, it could be the control board. You should have a licensed technician handle the Kenmore microwave repair because you can be shocked if you don't know what you're doing. Licensed technicians will be able to replace the main control board of your Kenmore microwave with no issue whatsoever. Another reason why your Kenmore microwave might not be working is that the thermal fuse has cut off. This happens when your microwave overheats and then the thermal fuse blows. Thermal fuses can't be reset if they're blown, so you have to replace them. This is something that a licensed technician can fix quickly. If your fuse is always blowing, it's best just to get a new microwave.